You are here: Home › Events › Prisoner Postcard Writing Party on Tuesday 6/30! Show your solidarity and support as free-world allies by writing to our community members who are currently incarcerated. 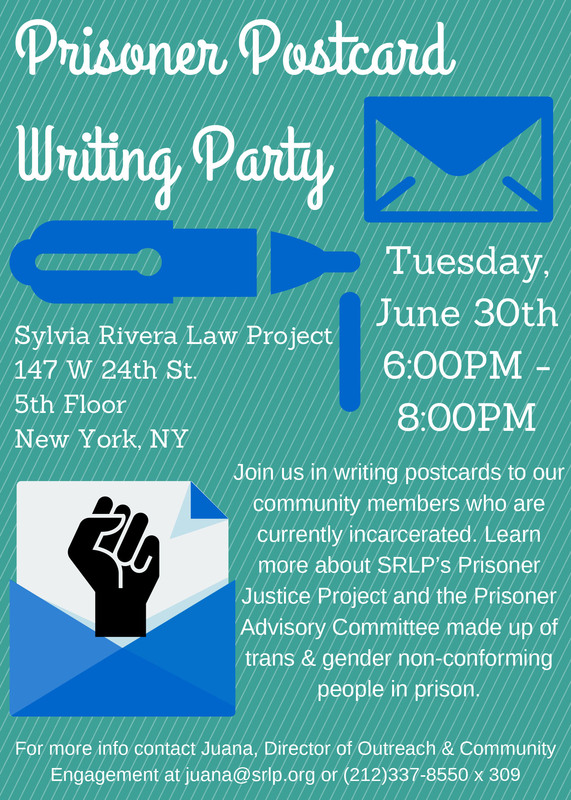 Come to SRLP on Tuesday, 6/30, from 6:00PM to 8:00PM for our Prisoner Postcard Writing Party! Join SRLP’s celebration of Sylvia Rivera’s and Marsha P. Johnson’s birthdays!